WE OFFER MERCHANT CASH ADVANCES DIRECT FROM YOUR CUSTOMER'S BUSINESS BANK ACCOUNT WITH NO PROCESSING STATEMENTS REQUIRED OR CHANGES! 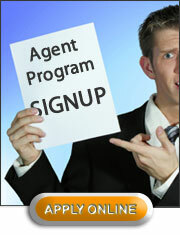 Earn top dollar from direct lenders, not a middleman or broker! All new offers are calculator driven so you will decide structure of the deal direct with your merchant and your fees will be based on the funding terms you provide. White label available with consistent volume! A/B Paper rates as low as 1.20’s! Funding can be within 48 hours! We Just need 3 months business bank statements & any application and we can provide an offer within 6 hours!